I have seen many sunsets in Greece, often they are super beautiful, but there are some that stands out from the crowd. 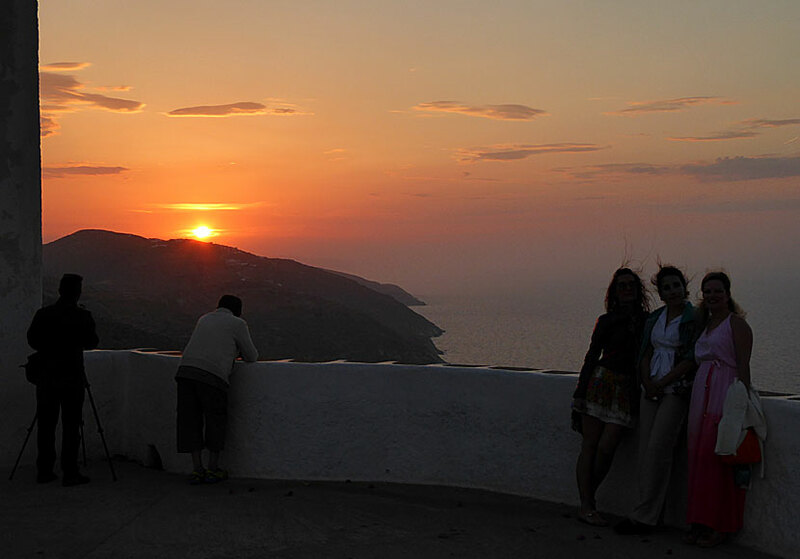 One of these is the sunset seen from the church of Panagia, or from the rock below. 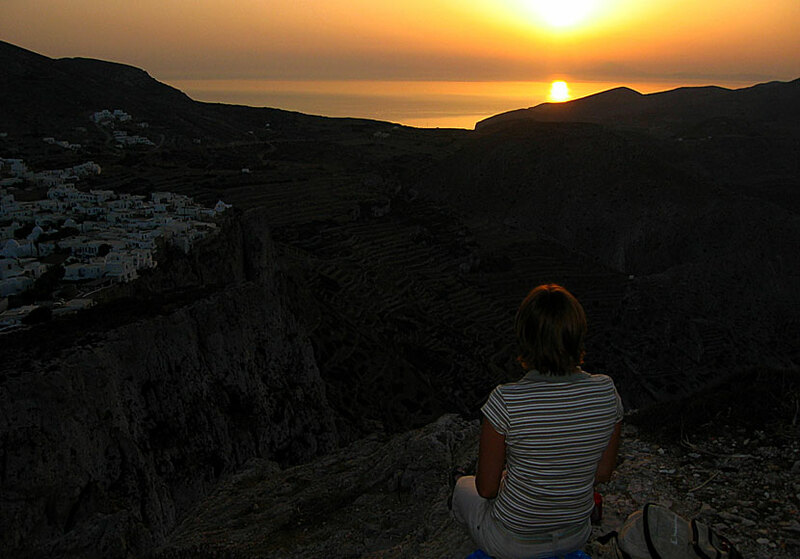 The beautiful sunset in Folegandros. Chora is visible to the left. Without exaggerating, I would say that it belongs to one of the five most beautiful sunsets I've seen. 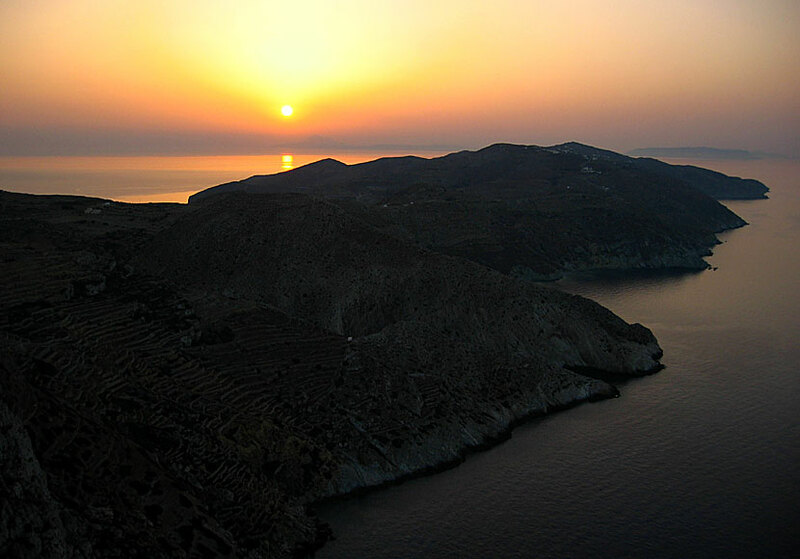 In front of you is an enormous panorama of mountains and sea, below is Chora with all the whitewashed houses and if you higher your eyes a little you will see all the way to the northern tip of the island. Almost like being in an airplane. Add to that a declining sun, good wine and a small cheese board (which one has to bring) and you have a perfect evening. I you don't want to go all the way up to the church, you can stop anywhere along the path, or stop at Pounta Square which is just outside Chora. At the square there are steps to sit on, and a small café. The sunset seen from Pounta Square in Chora.